September 12th in Wordpress Plugins, WordPress Themes, Wordpress Tips by Wordpress Jedi . 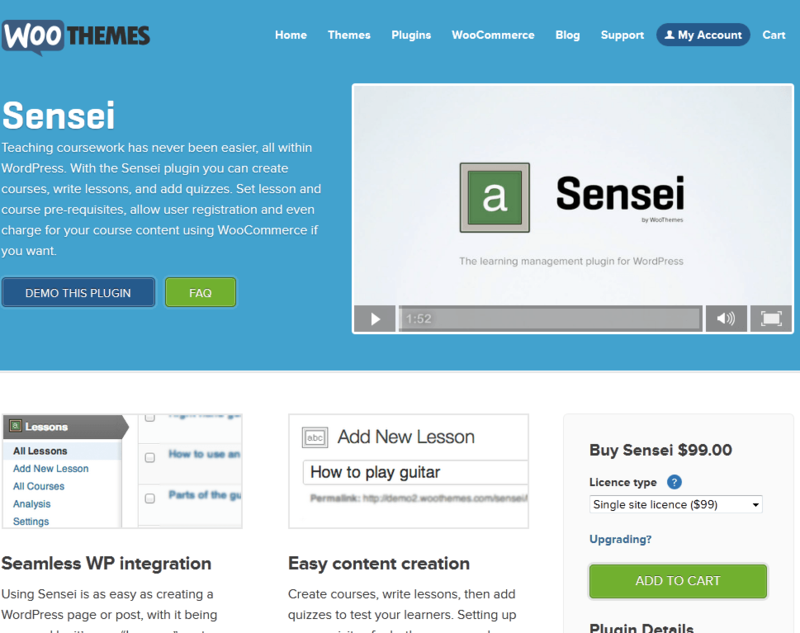 Sensei: a quality plugin by the folks at WooThemes. 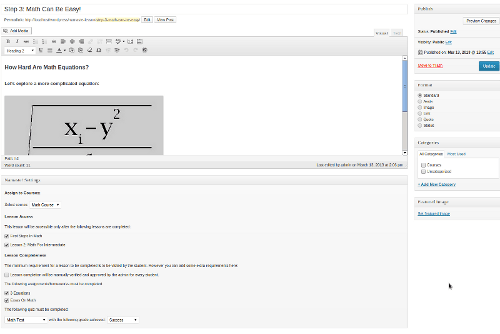 You can create courses, write lessons, and add quizzes with this plugin. Want to charge for your knowledge? No problem. Sensei integrates with WP seamlessly and offers course analytics too. 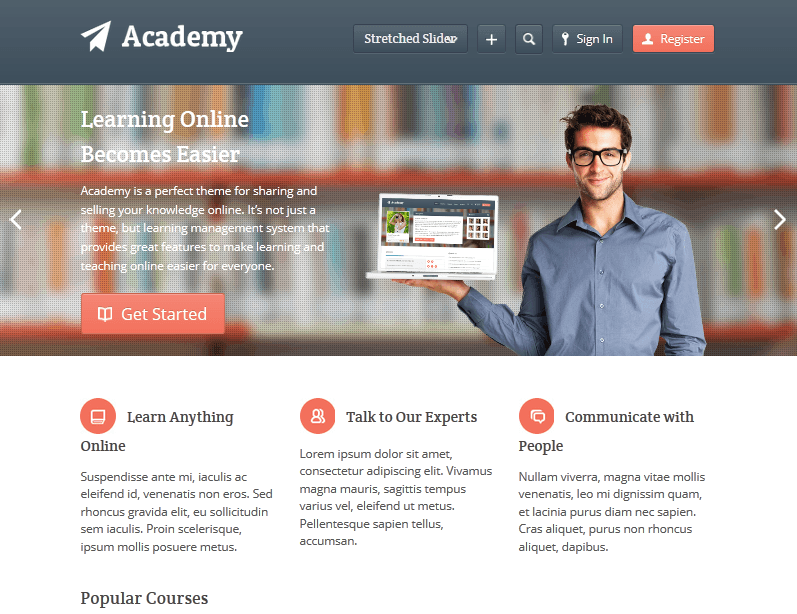 Academy: this is a theme designed for sharing and selling what you know online. It has extended user profiles, course rating system, lesson attachments, support features, and a lot more. It is compatible with WooCommerce. Namaste LMS: a learning management system for WordPress. You can add an unlimited number of courses, lessons, and assignments when using this. Webmasters can even offer certificates upon course completion. 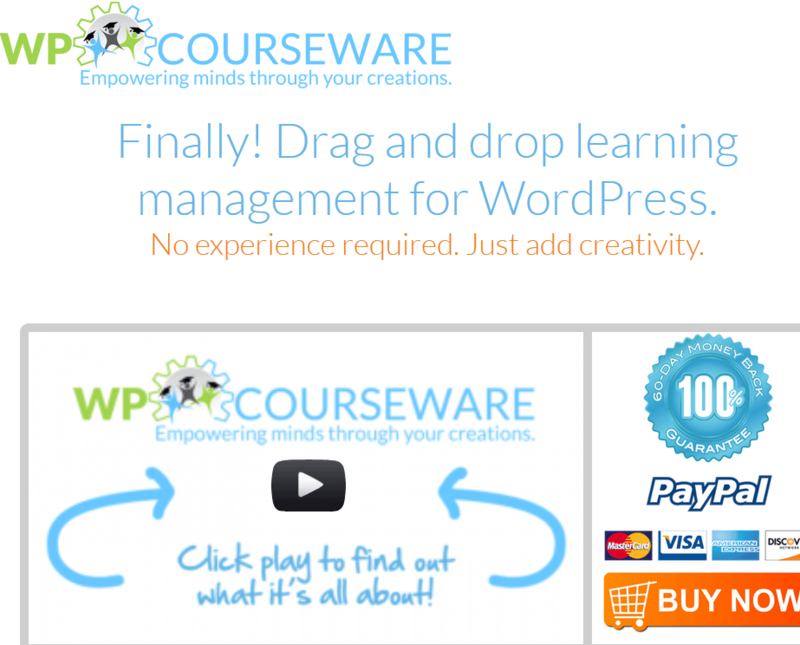 WP Courseware: another plugin you can use to create a complete course for your students. It supports unlimited courses, modules, and lessons. You can add multimedia lessons, manage grades, and do a whole lot more with this. Docebo for WordPress: these guys have an open source WordPress plugin that turns your WordPress portal into an e-learning portal quickly. 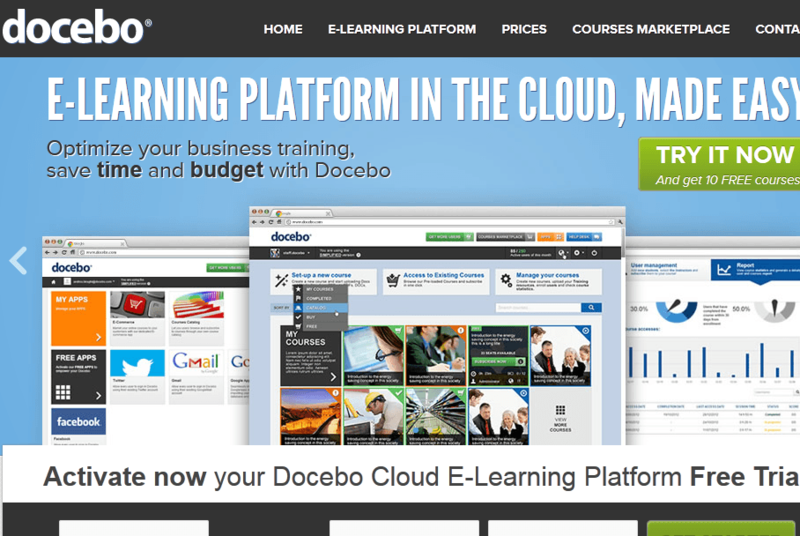 For those of you not familiar with Docebo, it is a dedicated learning management system for businesses. There are a few other plugins and themes suitable for e-learning projects. At the end of the day, the content you offer your customers will make the biggest difference. The above solutions do offer enough features to help you get your community off the ground faster.